A true fighter in resisting Jin soldiers, Gao Chong died when flipping over chariots. Flipping Over Chariots is also known as Mount Bullhead. The story is recorded in the 39th chapter of A Complete Biography of YUE FEI. YUE FEI and WU ZHU fight at Mount Bullhead. When YUE FEI is inspecting the commanders, GAO CHONG questions him for not being highly regarded. Yue Fei thus orders him to guard the military flag. In the battle, when the Song army is losing ground, GAO CHONG suddenly appears to fight and defeats several Jin generals. When WU ZHU retreats with his troops, GAO CHONG follows up his victory in hot pursuit of WU ZHU. WU ZHU pushes down chariots one after another from atop a hill to stop GAO’s pursuit. Though GAO CHONG successfully flips over several chariots headed for him with his spear, the chariots keep on coming and he soon becomes exhausted and eventually be killed. 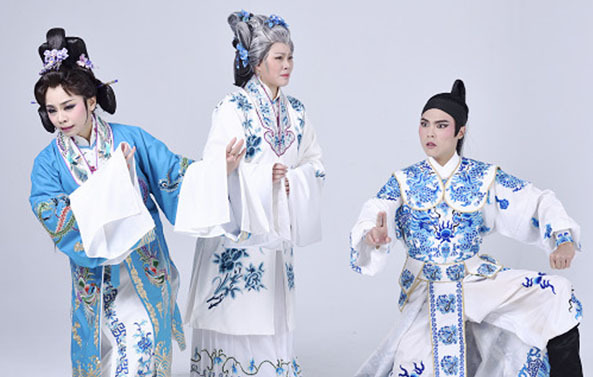 Born in 1995, LI Jia-de specializes in WuSheng (male martial role). 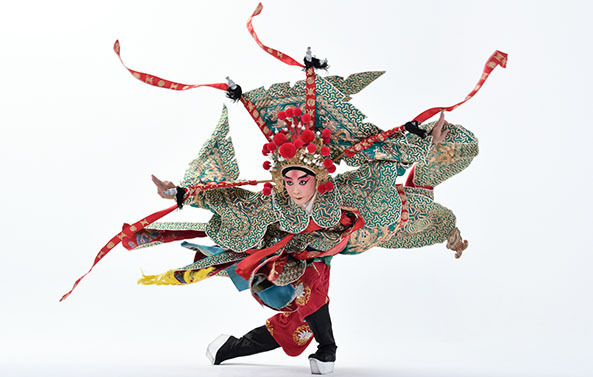 A graduate of the Department of Taiwanese Opera of the high school division of National Taiwan College of the Performing Arts. 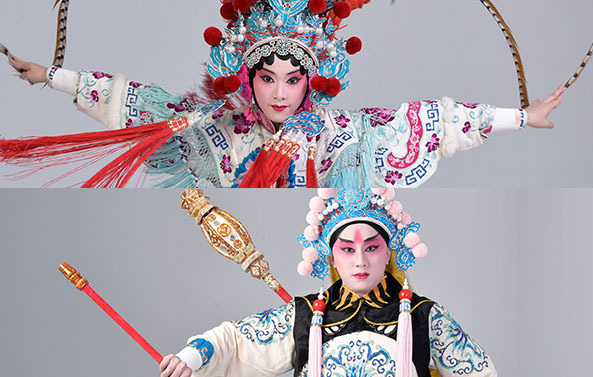 He fell in love with Peking Opera because of the influence of his teacher, Zhao Zhen-hua, so he transferred to the Department of Peking Opera for college.He learned from many teachers, such as: LI Tong-chun, WANG Hao-qiang, WANG Yi-jiao, ZHU Lu-hao, LI Xiu-Cheng, ZHANG Xiao-bo, ZHAO Zhen-hua, YAN Bang-jian, DAI Li-wu, LI Bao-chun, MA Shao-liang and ZHANG Shan-lin. In 2016, he was crowned as the top for the Regular Group at the Meng Xiao-dong Golden Awards competition. 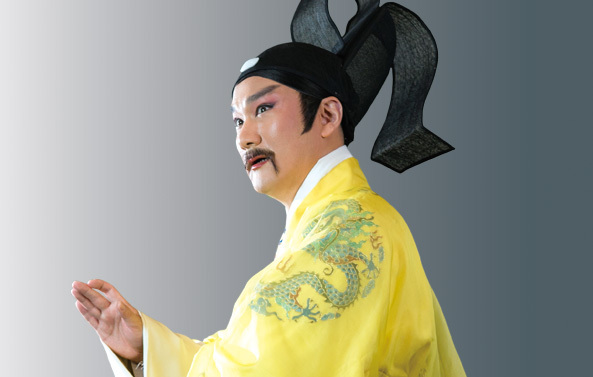 In 2017, he played the leading role in LU WEN LONG, one of the operas of the Summer Performances of National GuoGuang Opera Company, in the same year, he was nominated for “Best New Actor for Individual Performance” at the Golden Melody Awards in the Traditional Arts. Today the number of：77人 / The total number of visitors：131,039人 / Last Updated：2019/04/19.